Ten (10) movies may be checked out at one time, per library card. Two (2) Discovery Packs may be checked out at one time, per household. Two (2) Games may be checked out at one time, per household. Overdue fines are $.10 per day, per item. $1.00 charge for each DVD or Blu-ray returned in the outdoor bookdrops. If your account has over $5.00 in charges, you will not be allowed to check out any Library items until the account is paid in full. If your account has over $25.00 in charges, you will not be allowed to use the internet computers until the account is paid in full. You will be charged the original cost of the item plus a $5.00 processing fee. If you are interested in replacing the item with a new copy please talk to the Assistant Director to find out if this is possible. You will still be responsible for the $5.00 processing fee. The Library is supported by real estate taxes. Residents who live within the Library District's boundaries receive a free library card. Simply bring in appropriate ID (see list below). Two items are required. One picture ID and one item with current address. If your picture ID also has your current address, then the second item only needs to have your first and last name. Picture ID --- driver's license, state ID card, school ID card, passport. For other, please call ahead to ensure it will be acceptable. Current address --- driver's license, state ID card, passport, bill, checkbook, piece of mail delivered by post office (other than junk mail). For other, please call ahead to ensure it will be acceptable. A parent (or legal guardian) must first have a library card. This parent must accompany the child to the Library for the initial sign-up and have picture ID with them. This parent is signing to accept financial responsibility for all items checked out on the child's library card. 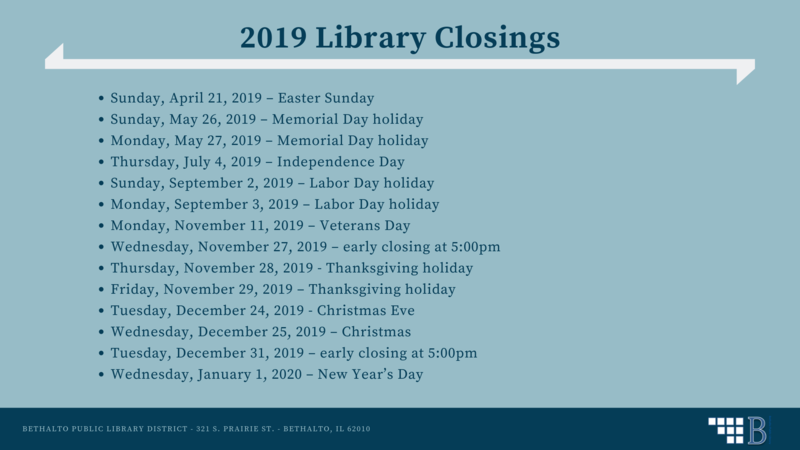 Those who do not reside in the Library District's boundaries may pay an annual fee to receive Library Services. Please note: state law requires that a non-resident library card be purchased at a public library in the same school district as the residence OR at a public library closer to the residence than those in the same school district. The annual fee is determined by multiplying the "taxable value" of the residence by the Library's current tax rate. The Madison County Government real estate assessment web site provides taxable value information by address. The same two forms of identification are required to obtain the card as stated above for residents. Non-Resident library cards are valid for one year. Everyone in the family may obtain their own library card for the single fee. Non-Resident library card holders receive all the same privileges as resident card holders.